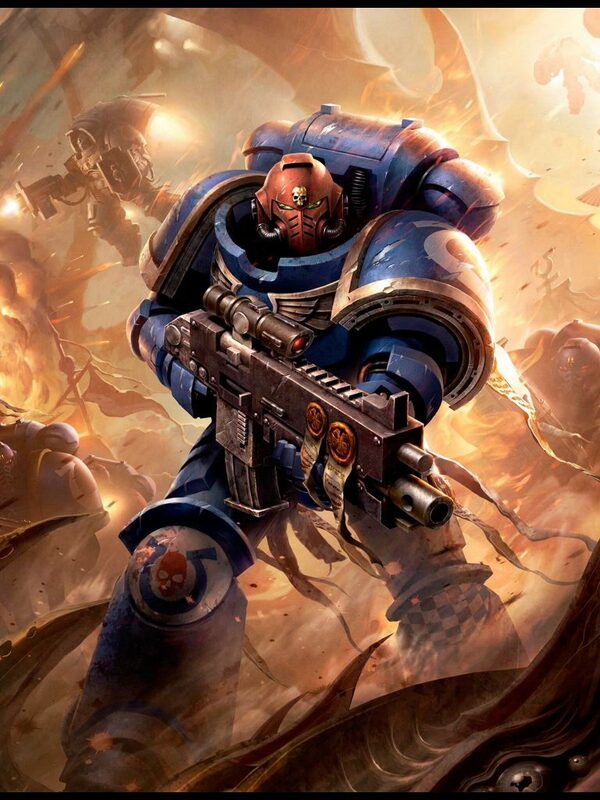 Based on this incredible illustration of Raymond Swanland cover of the Space Marines codex. 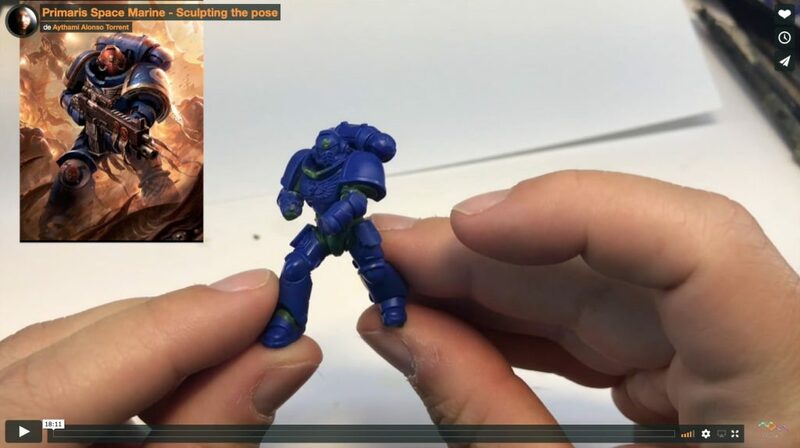 In this video I show you how to copy the pose of the illustration using green putty positioning each element correctly. 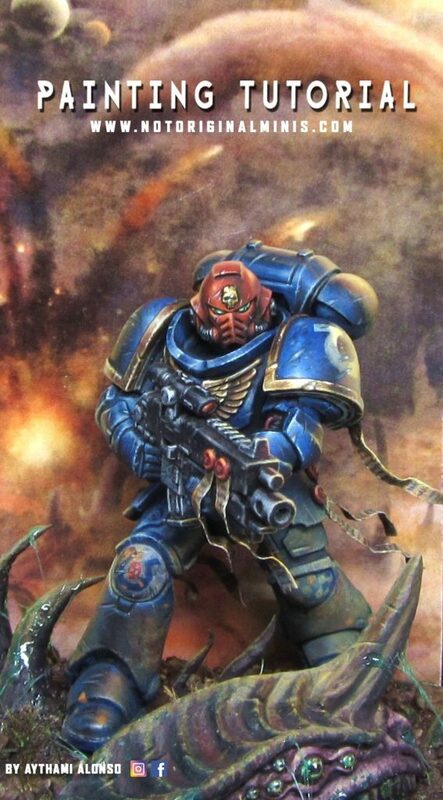 We make a bigger Primaris. Each millimeter counts to reach our goal. 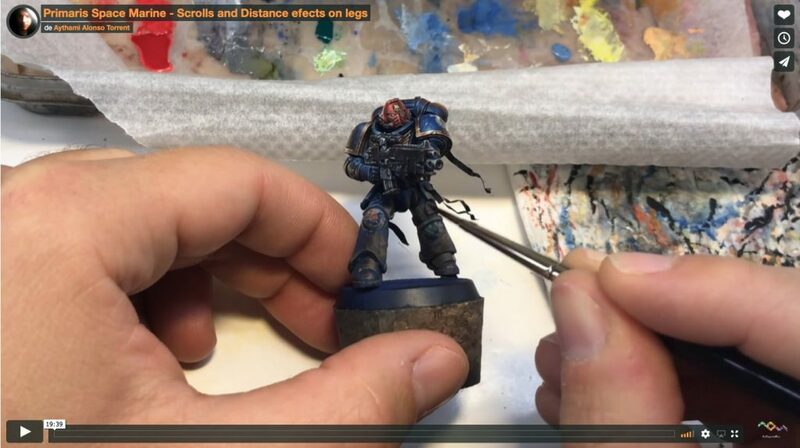 This video is for beginners who have contact with the world of miniature and want to start painting more seriously. I tell you the importance of the dilution, the charge of the brush, with what part of the hair we paint, the stroke and above all how to learn to solve paint errors. And many other interesting topics such as the brushes and the wet palette, which will make you skip research time. 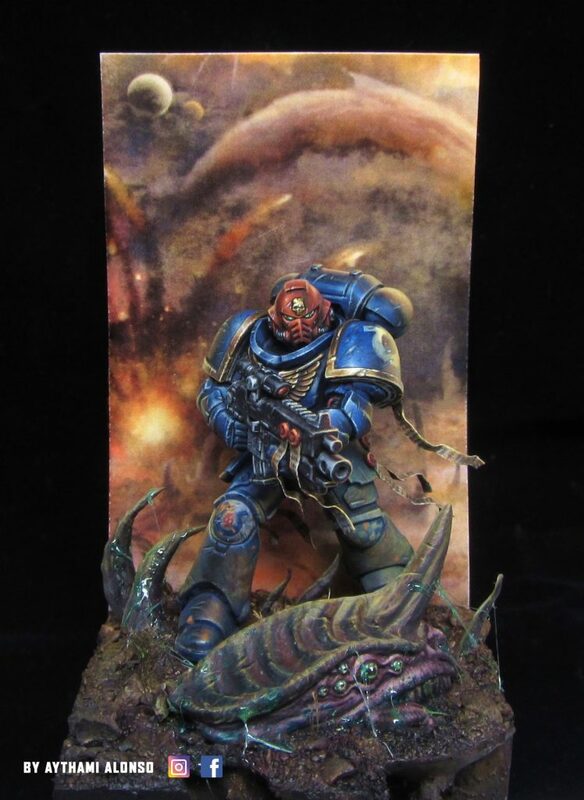 We will use the airbrush only once to give the base layer being replaced by the brush if you want. For any questions you have the comments. 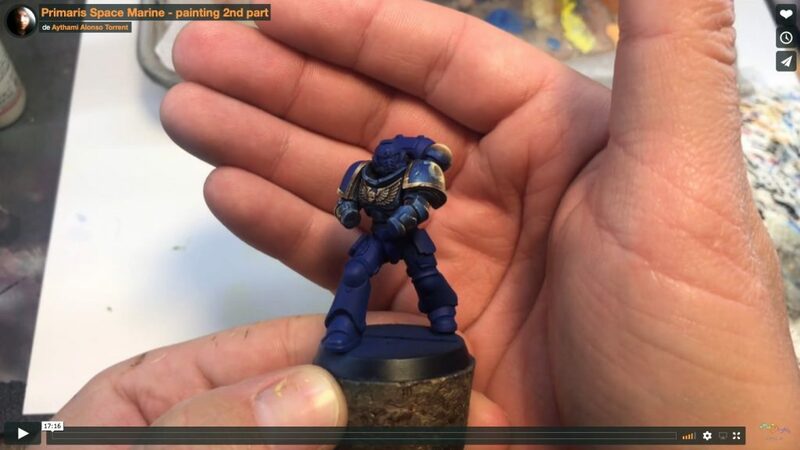 In this long video I will tell you my particular way of painting oriented to motivate myself. 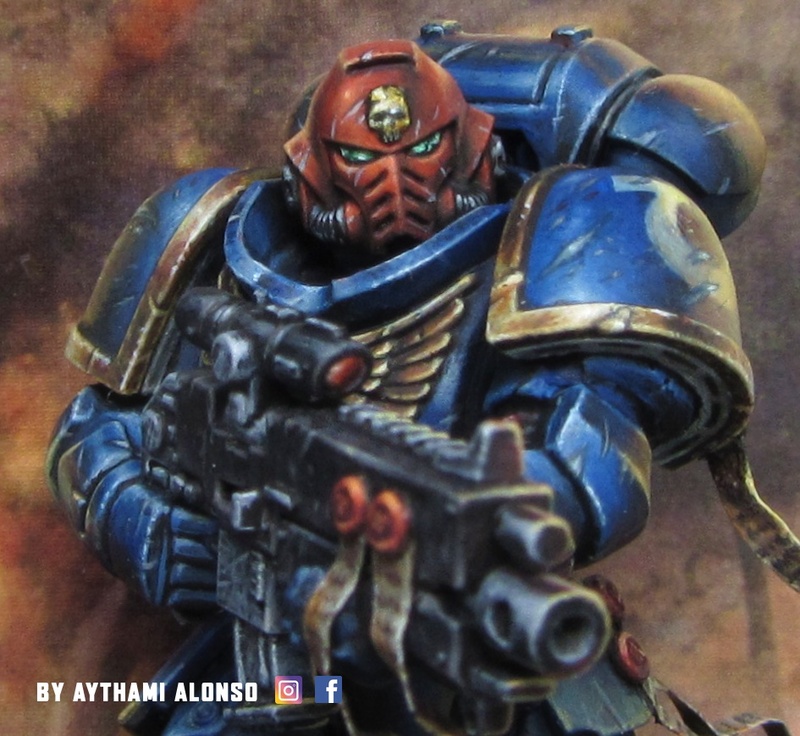 We will paint the shoulder pad at 90% with simple and fast techniques. I will tell you the tricks to make a painting style of illustration, how to give importance to the silhouette of the miniature creating an aura that sticks with the background. 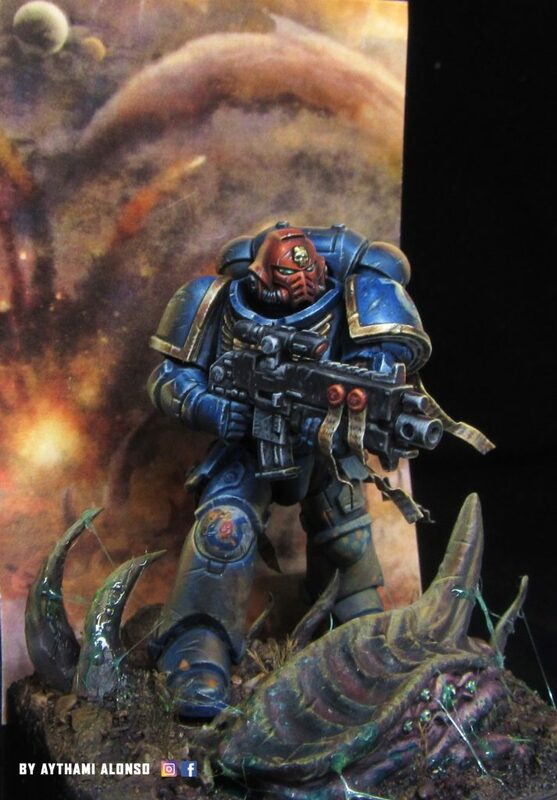 We will paint the border of the armor with a gold Non metallic metal and I will show you how to paint the freehand of the shoulder pad and the scratches. 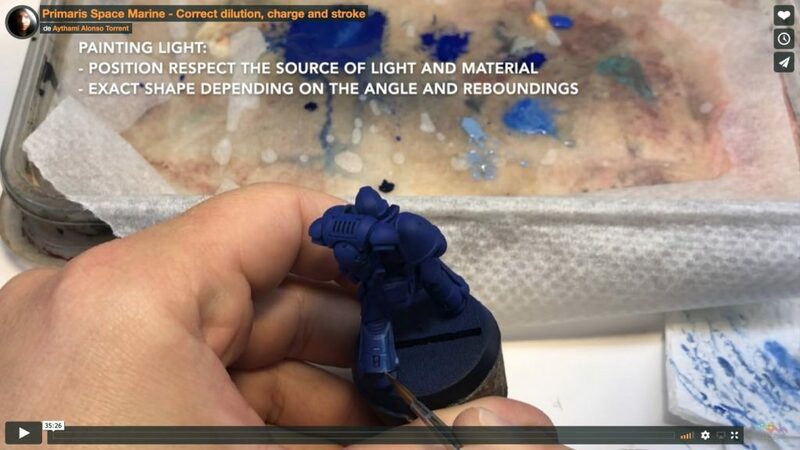 In this second part we will see how to paint the rest of the arm following the “aura” of the second source of light. 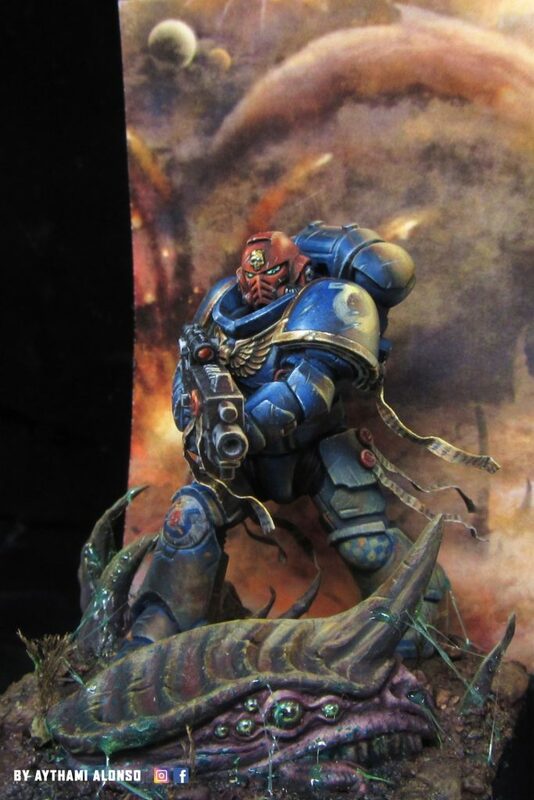 We will paint the eagle of the chest with gold non metallic metal and we will give a quick review to the rest of the left part taking into account factors like how far it is from the main source of light, painting it darker. 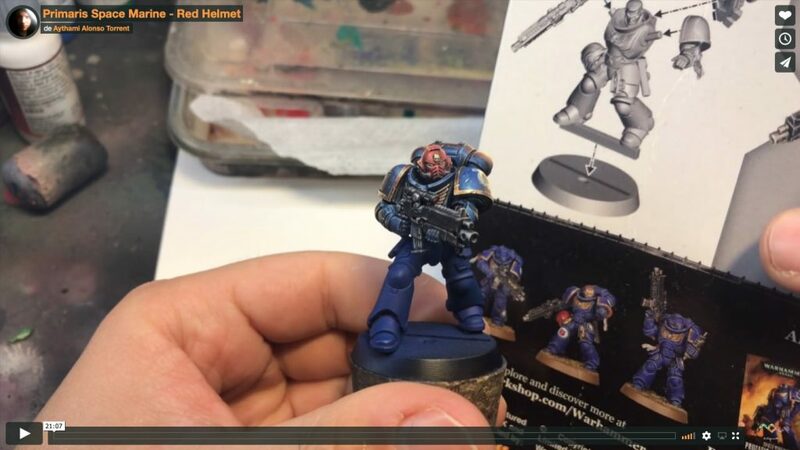 In this third part we will learn to paint the red helmet with 3 colors. We will use “white” as the base tone for a vivid and saturated red. We will see the importance of micro points and their power when they are placed in the right place. In the video I show you an important lesson: how to focus the attention of the viewer on important parts by creating a “fog, blur, distance” effect. We create easily the scrolls. 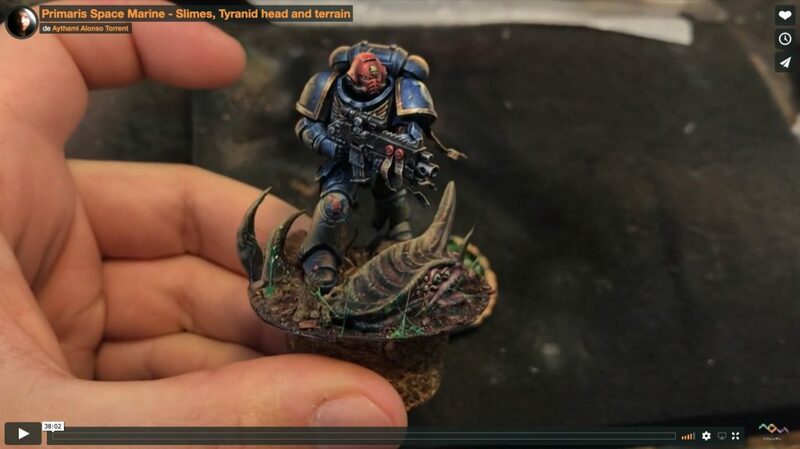 I explain how to sculpt the Tyranid head with Fimo and Super sculpey. We have fun with puty. 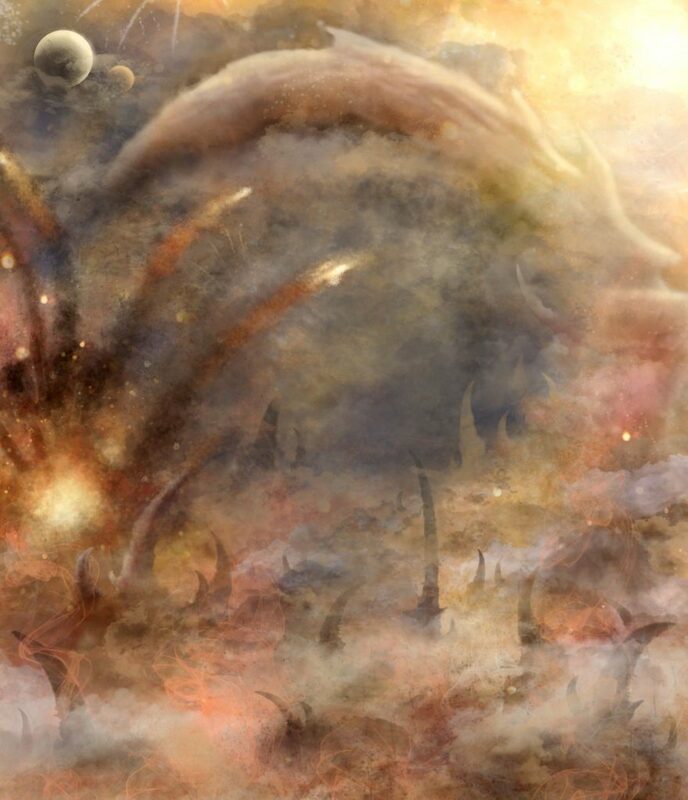 While we paint the Tyranid we decide where areas to focus and we create de Slimes really easy. 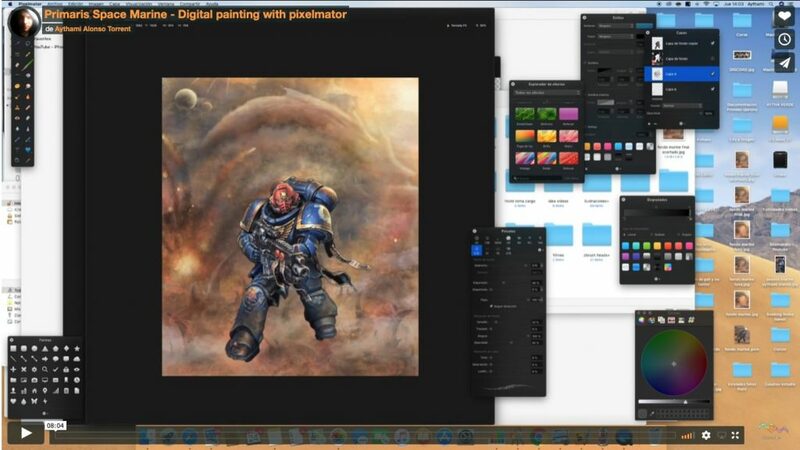 I show a resume of how I painted digitally the background with Pixelmator adapting it to our illustration painting style. Thank you guys to follow me until here. Hi Love your videos they are just amazing. 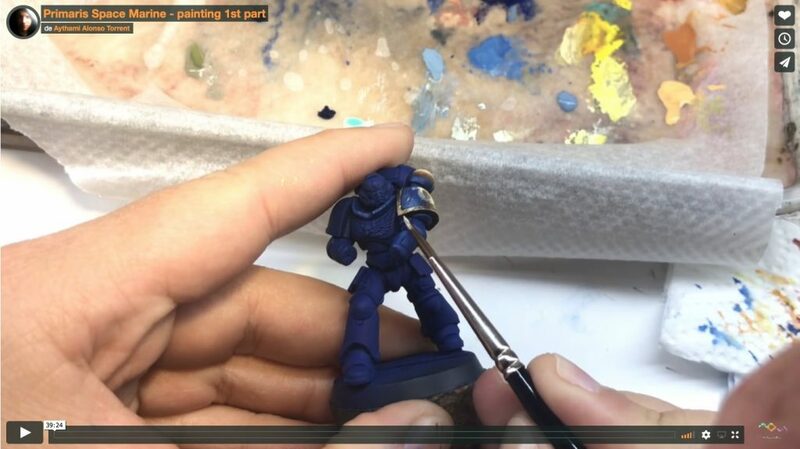 One thing i am wondering when you do the edgehiglight you are using the tip of your brush, I am usually using the side of my brush angeled to the edge of the figure. Is there a specific reason you used the point of the brush. I guess you can have bigger area of light with the point then the flat middle part of the brush to the edge? Also if you want a bigger area then just the edge you need to use the point i guess… need to test some more myself. Can’t wait to see this! Do you have an estimate regarding the availability of the other video’s? Will it be weeks or months? thanks for the incredible videos! you are a master painter and instructor! can´t wait to try some of your techniques! Love your work and videos. I have a question about red acrylic. You say that it “stains” could you say more about what that means?